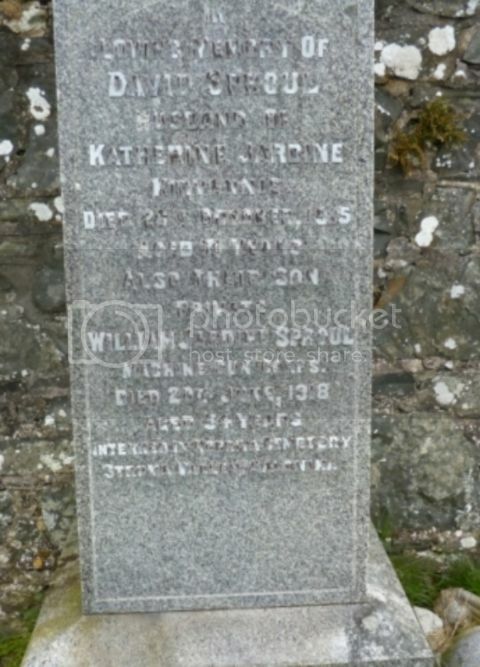 Additional information: Son of David and Catherine Jardine Sproul, of Kirvennie, Wigtown. Farmer at Carslae Farm, Wigtown. 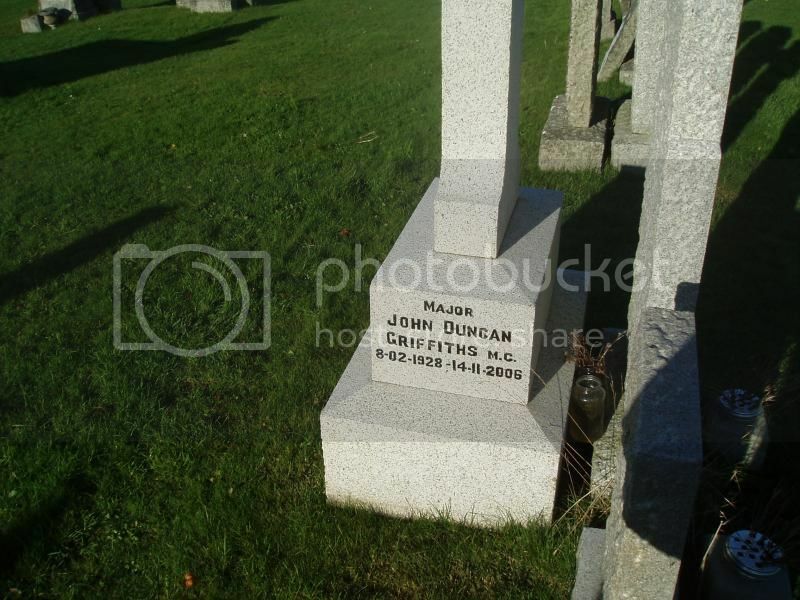 Native of Ochiltree, Cumnock, Ayrshire. 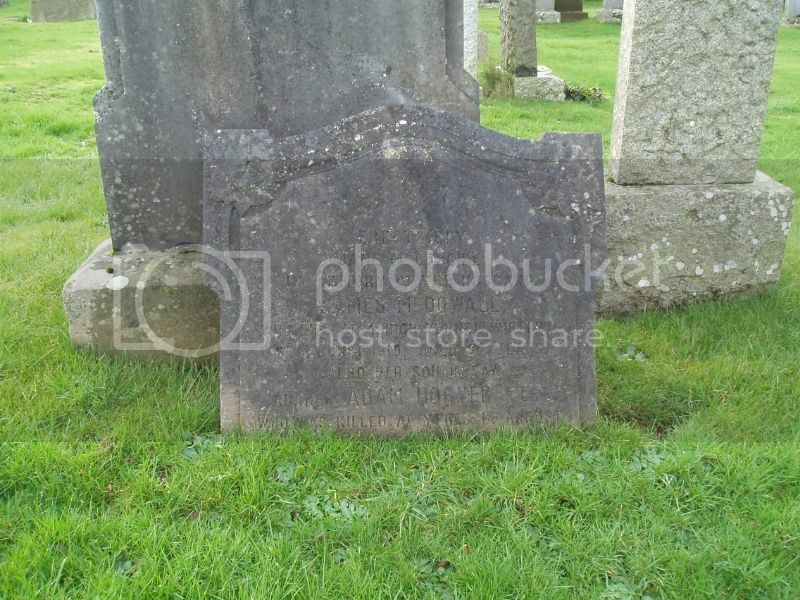 Also Mary Broadfoot Walker. According to Wikipedia she served in the First World War in the Royal Army Medical Corps at the 63rd General Hospital in Malta. This remarkable woman also discovered the drug that controls the muscle weakness associated with the condition myasthenia gravis. 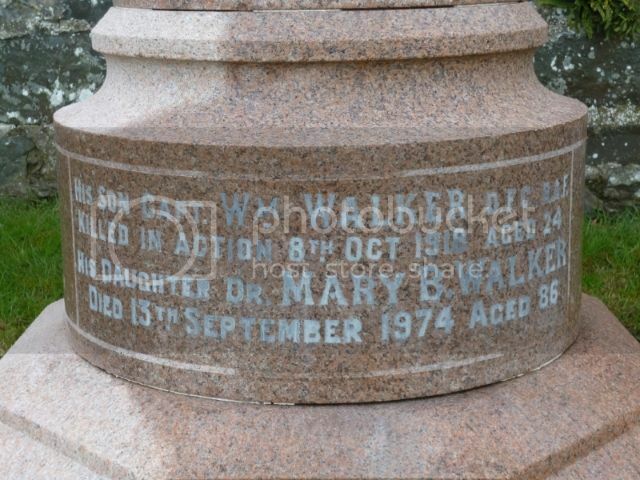 The wiki page http://en.wikipedia.org/wiki/Mary_Broadfoot_Walker#cite_ref-10 also provides a fascinating piece of film from 1935 showing the treatment of this illness. 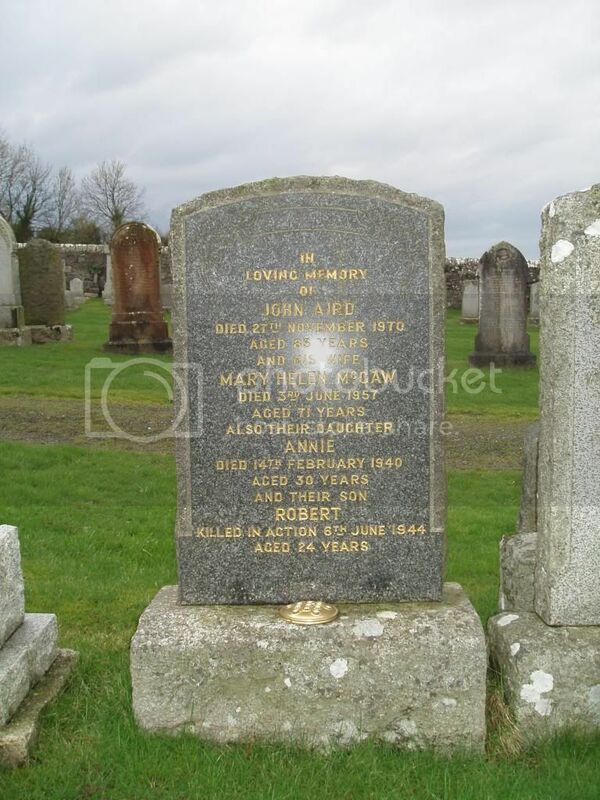 From the inscription on the headstone it is clear that his family atrributed David Boyd's death to his war service. In a letter home from the Dardanelles, published in the Galloway Gazette on August 14th 1915, the writer reports, "... Davie Boyd got a bullet in the chest but it is not a serious one." 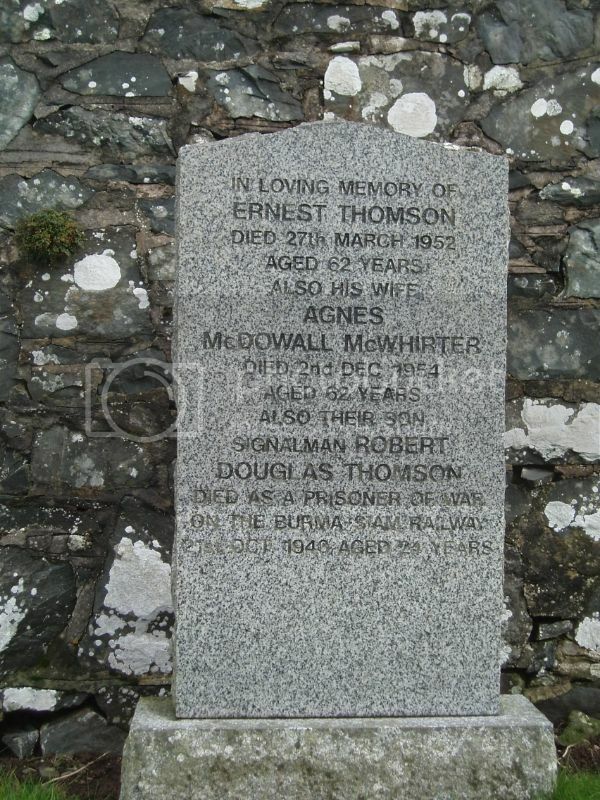 Additional information: Husband of Margaret McDowall Horner, of 14, High St., Wigtown. 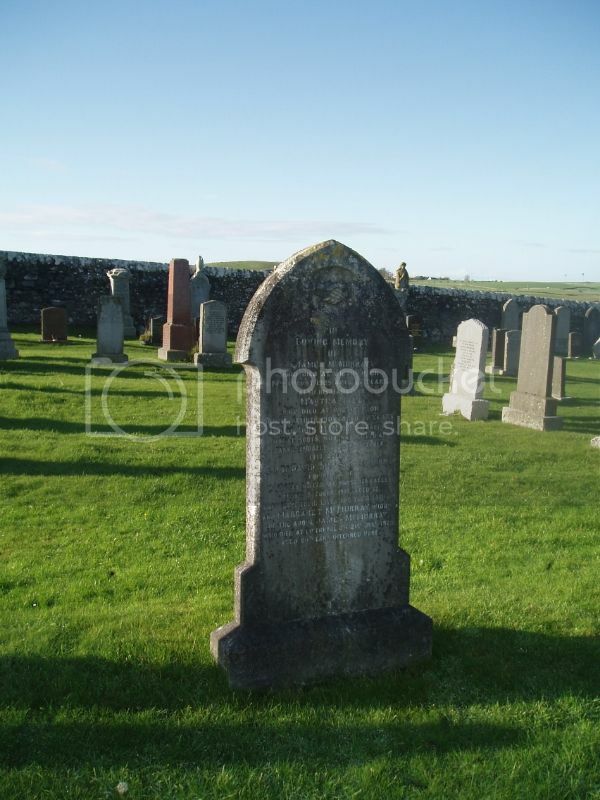 Additional information: Son of Ernest and Agnes Thomson, of Wigtown. 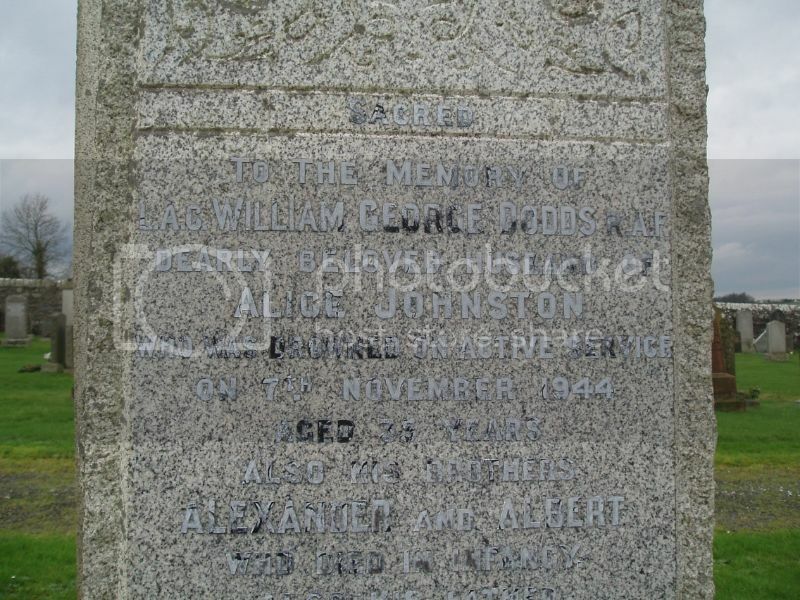 Additional Information: Son of William and Sarah Dodds; husband of Janet Alice Dodds, of Newton Stewart, Wigtownshire. 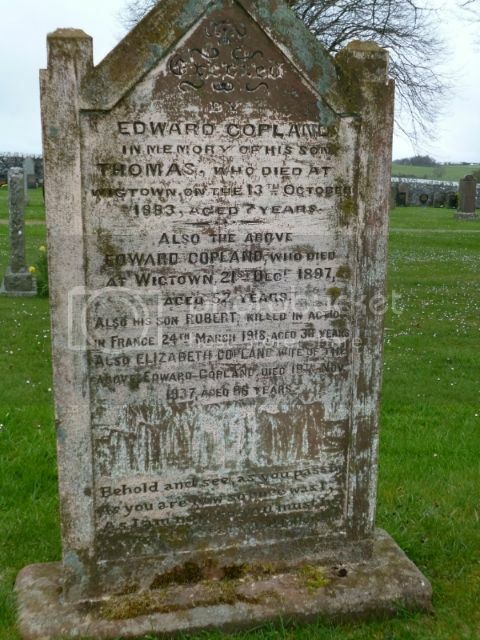 Additional information: Son of John and Mary Helen Aird, of Wigtown. 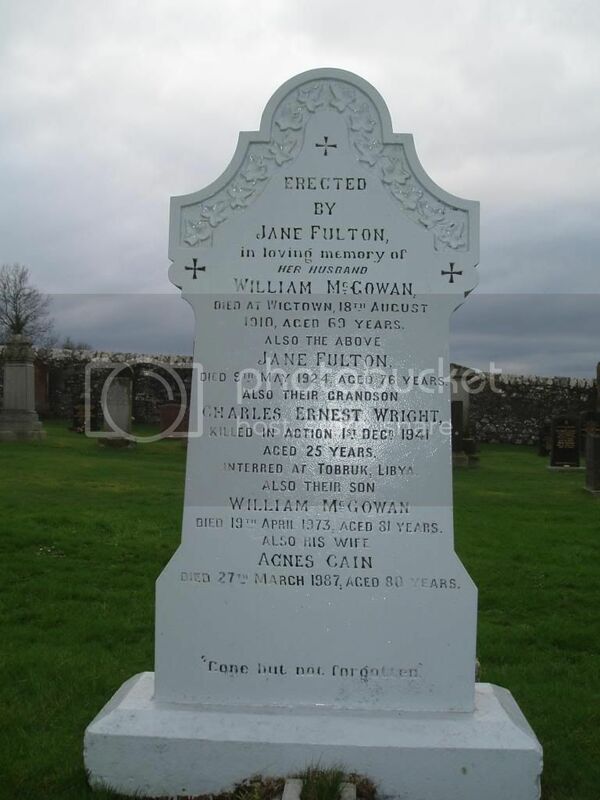 Additional Information: Son of Charles and Jean Wright, of Gateacre, Lancashire. 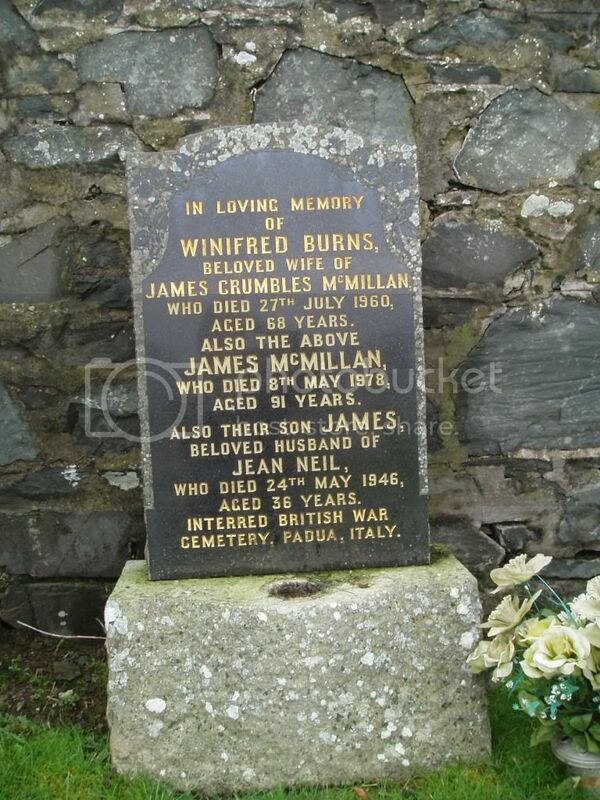 Additional Information: Son of James Crumbles McMillan and Winifred McMillan; husband of Elizabeth Jane Martha (Jean) McMillan (nee Neil), of Wigtown. 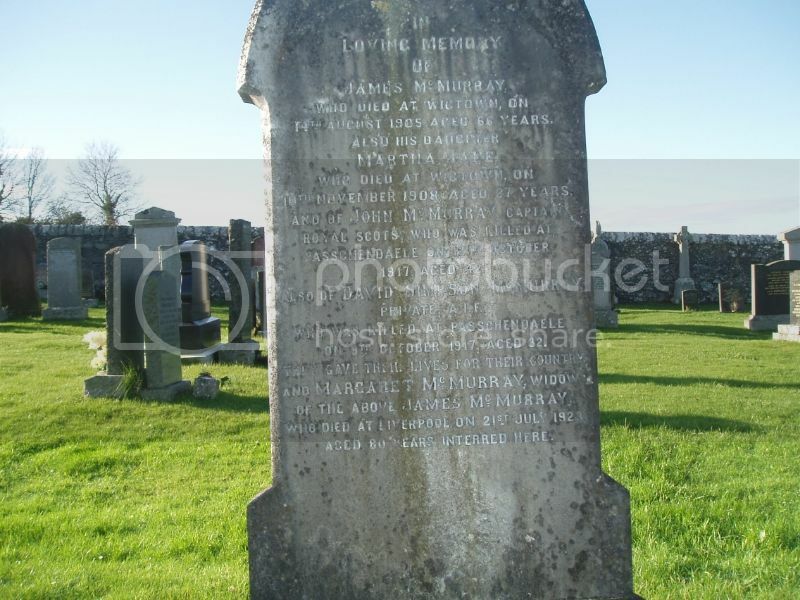 Wording is very faded but reads: In memory of Mary Mayor wife of Alexander Ross died at Stranraer 9th July 1907 aged 41 years. 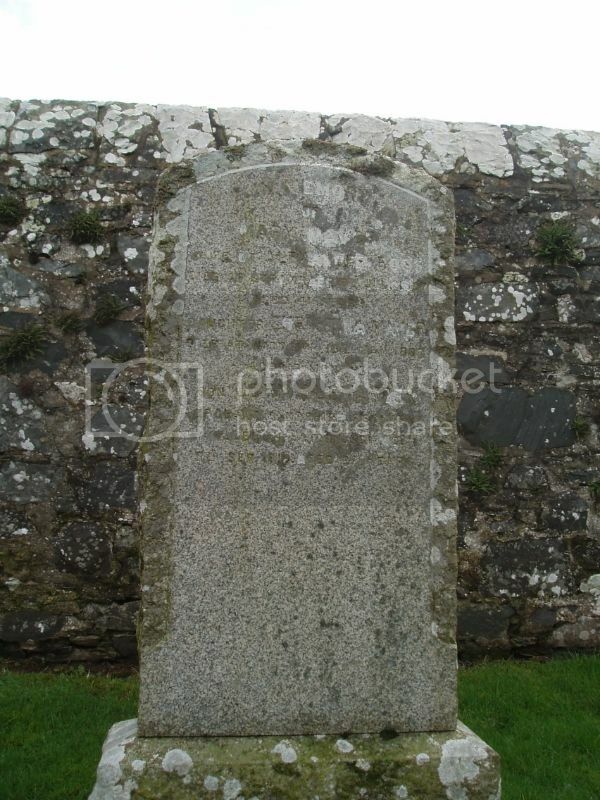 Daughter Christina Mayor died at Wigtown 10th January 1897 aged 8 months. Son John Alexander, Sergeant, Hampshire Regiment, killed in action Somme 3rd September 1916 aged 22 years. In the Wigtownshire Free Press 21 Sep 1916: ROSS - Killed in action in France on the 3rd inst, Sergt J A Ross, Hampshire Regiment, son of Superintendent Ross, Stranraer, aged 23 years. missing photos taken by Mike Morley and added to original posts above. 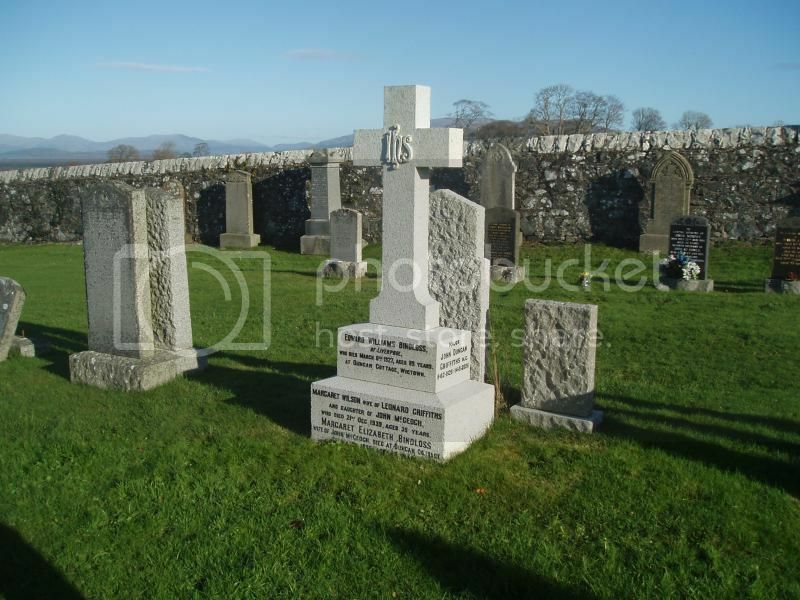 Additional Information: Son of James and Margaret McMurray, of 79, Crawford Avenue, Wavertree, Liverpool, England. Native of Drumrae, Wigtownshire, Scotland. Galloway Gazette (27/10/17): McMurray: Killed in action on the 9th inst Private DS McMurray, Australian Imperial Force, youngest son of Mrs McMurray, Mossley Hill, Liverpool, late of Wigtown. Wigtownshire Free Press (1/11/17): Information has been received in Wigtown that Private David McMurray, formerly of the County Buildings, has been killed in action. He went to Australia on leaving Wigtown a few years ago and joined on the outbreak of war. 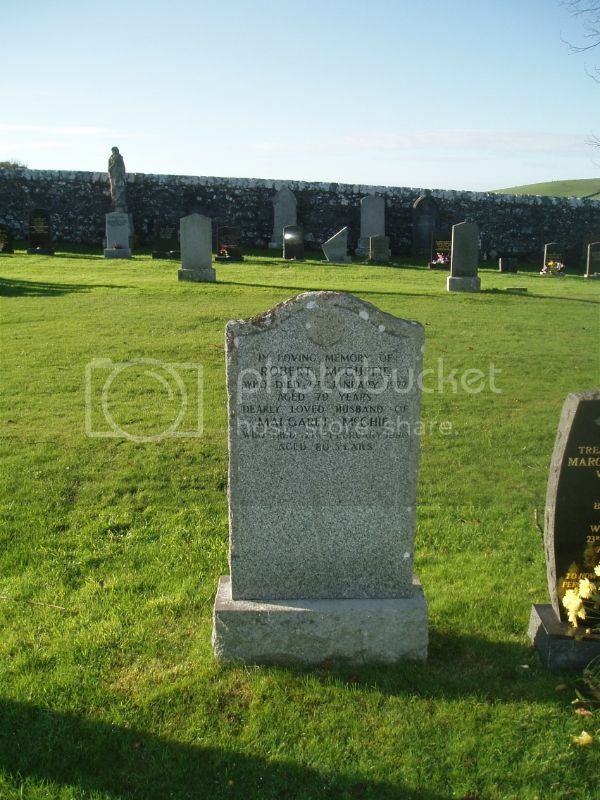 An elder brother (John) is reported missing. Note: Private McMurray's Attestation Papers with the AIF indicate 10 previous years' Imperial Service. 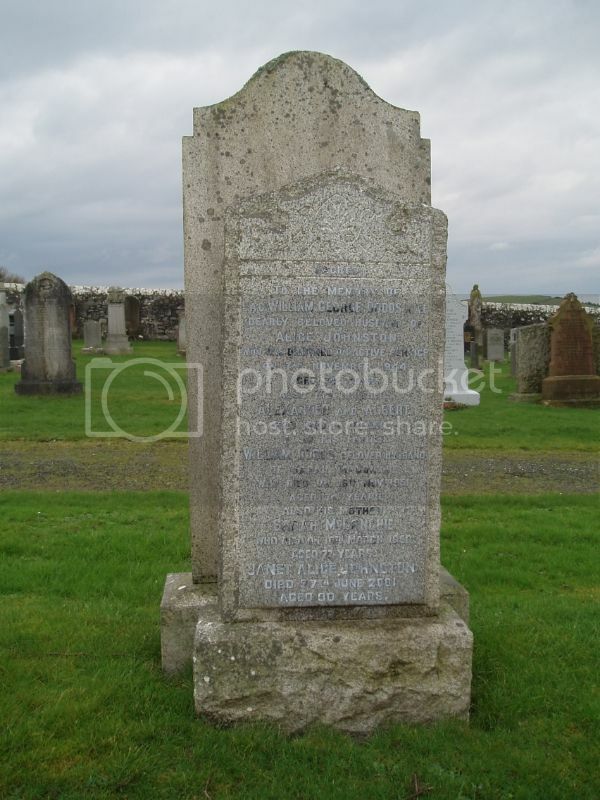 Though he died within three days of his brother, both at Passchendaele, John McMurray is not named on Wigtown War Memorial despite both spending some years living in the town. Wigtownshire Free Press (23/5/1918): Captain John McMurray, Royal Scots, who was reported missing in October 1917, and is now officially presumed dead, was the second son of the late Mr James McMurray, and of Mrs McMurray, 79 Crawford Avenue, Wavertree, Liverpool. He was educated at Ravenstone Public School, Glasserton, gained a bursary open to Dumfries and Galloway, was equal dux of Ewart High School, Newton Stewart and in the law classes at Edinburgh University, took honours in Scots Law and first prize in conveyancing. 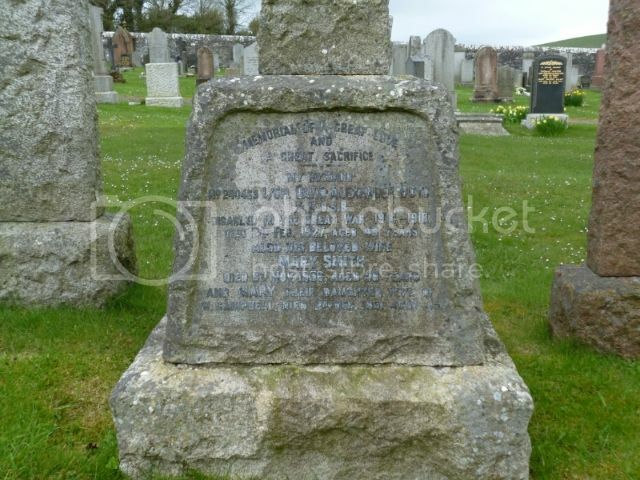 Previous to enlistment in December 1914, he was employed with Messrs Davidson and Syme, WS, Edinburgh. In the Army his promotion was rapid rising to sergeant within a month of enlistment, to company quarter master sergeant in February 1915 and to commissioned rank in May 1915. 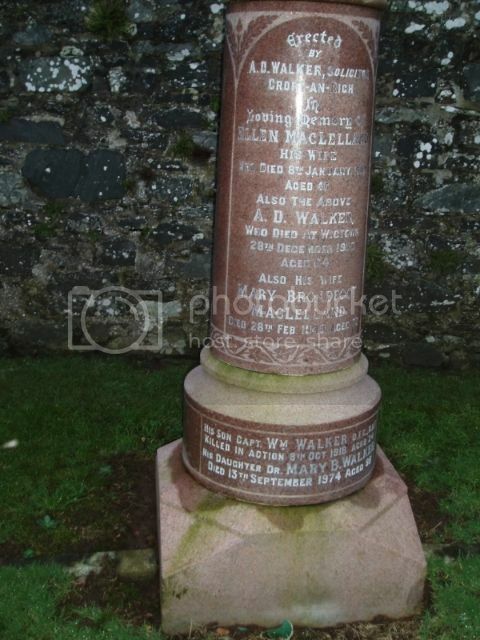 He held the vulunteer long service medal having served in the Galloway Rifles for four years and in the 1st Battalion Queen's Edinburgh (afterwards the Royal Scots) for 16 years. Private Robert McGuffie, Royal Scots Fusiliers. Brother of Louis McGuffie, 1/5 KOSB, who won the Victoria Cross. Robert was severely wounded in the war and had his right arm amputated. Those in Wigtown who remember him recall that his disability did not prevent him wildfowling, compensating by the use of a punt gun. I understand that it was Robert who presented his brother's VC to the KOSB Museam. Galloway Gazette (14/9/17): Mrs Edward McGuffie, 1 North Main Street, Wigtown, has received official intimation that her son, Private Robert McGuffie, RSF, has been severely wounded and has had his right arm amputated.